The Nance - meet cast member John Paul Odle! What do you find appealing about your character and this show? For one, it’s a role that is extremely foreign to me. My background couldn’t be farther than that of Ned’s, and the world he lives in is quite different from today, though in many cases unfortunately, not all too dissimilar. For the show, it has been a real eye-opener to see all the vaudeville sketches, as I’ve been too indoctrinated by the fanfare of modern cinema. The wonderment that is vaudeville and burlesque never leaves your mind, as it should. What have you learned about yourself in playing the role of “Ned”? Though our backgrounds and circumstances are very different, I do like the parallel of our “entrance” into theatre. While I had a passing interest all my life in acting and the stage, I was very much pushed onto the stage in high school, and sort of rocketed off from there. With our theatre trajectories so similarly plotted, I’ve found that I encountered many of the same bumps in the road. Being overwhelmed and underprepared in my first role, no matter how small. It’s never something you really do get used to honestly. There is always an “awe”-someness that you can’t escape when on the stage. To go on stage without some kind of trepidation, I feel saps the energy from the scene and from the show as a whole. What do you want the audience to experience/take away from this show? There are many themes that run throughout this play, but the one that strikes closest to home for me is the idea of not only inclusion, but the idea of self-expression. Theatre has for centuries been an outlet for original thought, and to censor it in any way is to do humanity a great disservice. With the current political climate, and with some events of the recent past coming to mind, it is more important than ever to turn to theatre not just as a mental escape, but as a loud and poignant voice for whatever truths need to be told. How does this show differ from other shows you have worked on? My previous works have run the gamut of comedies to dramas to musicals and avant-garde productions. This one certainly stands out as the characters I played in those are relatively cookie-cutter, but this? As a straight man playing a gay man, I have a lot riding on my skill not only as an actor, but also as a person. To respect the community of today, but also to give the community of the past its proper due. It’s a balancing act that I hope shines forth in a positive way. I know my cast mates, and especially my director, has been extremely helpful in this regard and I wouldn’t have been able to do this without them. How long have you been acting and what made you get involved in theatre? How did you get involved with LTA? I started acting in high school, with two plays and a musical. I then graduated from Providence College with a Theatre Degree, working mainly behind the stage as crew and Assistant Stage Manager, I also attended Catholic University for a year following my graduation from Providence, where I honed my skills as an actor and also received a CUA “Gilbie” for Best Supporting Actor in an Independent Play. I started working with LTA only last year, with my role of Spike in “Vanya and Sonia, and Masha and Spike” which was a really fun play to be in. I knew of LTA through my parents, as well as my proximity, only living a few blocks down the street. What advice would you give others who are interested in working in theatre? Two words quite simply: Do it. From acting, to managing, to all the various jobs behind the curtain and in the front of the house, there is a plethora of options. If you have any skill of any sort, there is a place for you in the theatre. The more people we have under our roof, the greater the experience we can share with each other, and therefore, with the world. The Nance - meet choreographer Stefan Sittig! The Nance - meet cast member Danielle Comer! 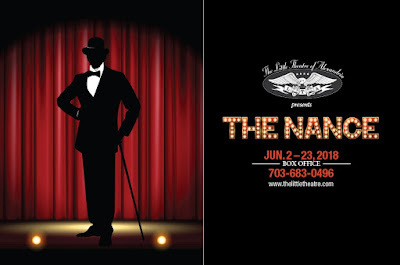 The Nance - meet cast member Charlene Sloan! 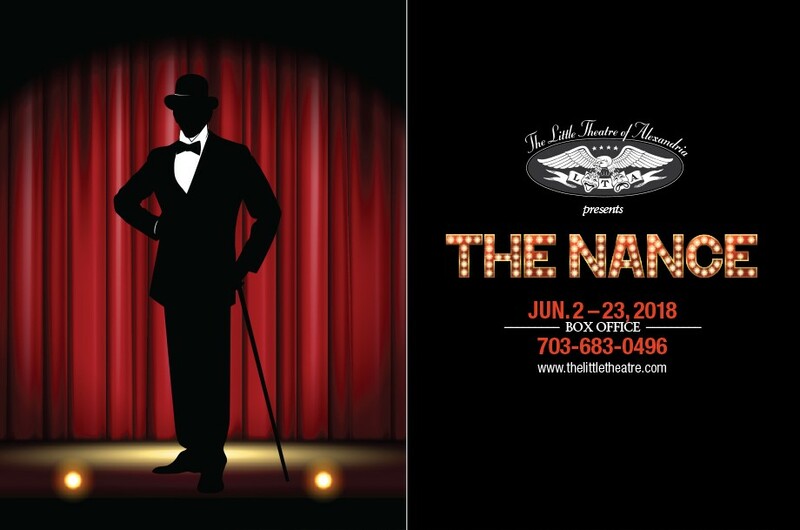 The Nance - meed the director Frank D. Shutts II! The Nance - meet cast member Janice Rivera! 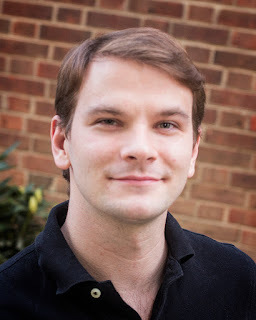 The Nance - Meet cast member Chuck Dluhy!